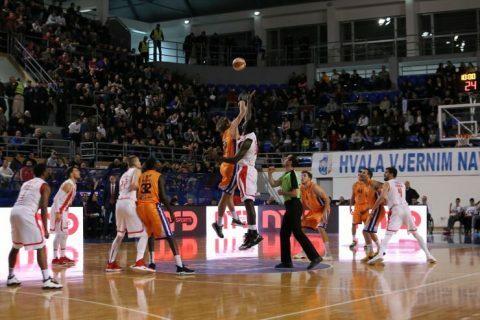 Crvena Zvezda crushed Mornar Bar on the road on Saturday (57-90) and thereby secured the top spot in the ABA League regular season standings. With three rounds to go in the regular season, no other team will be able to surpass the Serbians in the standings. They have four victories more than second-placed Buducnost (last years winner and current Euroleague participant). 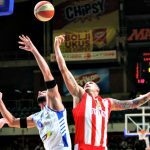 Crvena Zvezda sufferd only one loss this season in the Adriatic league (ABA). As a result, Crvena Zvezda ensured they will have the home-court advantage until the end of the playoffs. In yesterday’s game, Billy Baron led Crvena Zvezda with 14 points and Ognjen Dobric added 13. 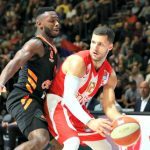 Strahinja Micovic had 15 points for the losing squad from Montenegro. 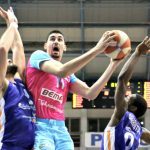 Mornar Bar dropped to 7 – 12 and are now seventh in the standings. The Serbian visitors dominated their opponents from start to finish and were in front by 24 at halftime (26-50). They extended their lead to 35 at the end of the third quarter and cruised to an easy victory (45-80). 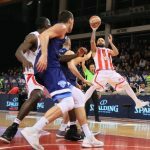 Following their elimination from the EuroCup quarter-finals, Crvena Zvezda have to win the ABA League title. It is their sole option to return to the EuroLeague. They have proved that they are the best team in the ABA League so far and the home-court advantage gives them the upper hand in the playoffs. Given their failure to reach the knockout stage of the EuroCup, they now have to focus on ABA League’s postseason. It is paramount for the Serbian club to get ready for the playoffs and win the title. Because, if they fail to secure their ticket to the EuroLeague via the ABA League, their season will end in a disappointment.